Helene studied Dance Ethnology at the University of California, Los Angeles (UCLA) and was later a doctoral candidate in Folklore, Slavistics and Turcology at the Georg-August University in Göttingen, Germany. In Los Angeles she performed with AVAZ International Dance Theater, Gypsy Dance Company and Jasna Planina Ensemble. After a year at the Folkdance Academy in Plovdiv, Bulgaria she was a guest of the Turkish State Folkdance Ensemble in Ankara. 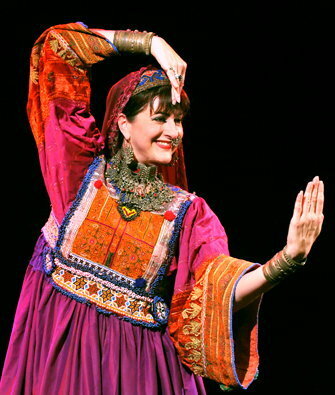 She directed her own ensemble Raqs-e Hilal for several years in Germany and is currently directing her new project, Helene Eriksen’s Traditional Dance Theater, in Seattle. Learn more about all of Helene’s adventures HERE. 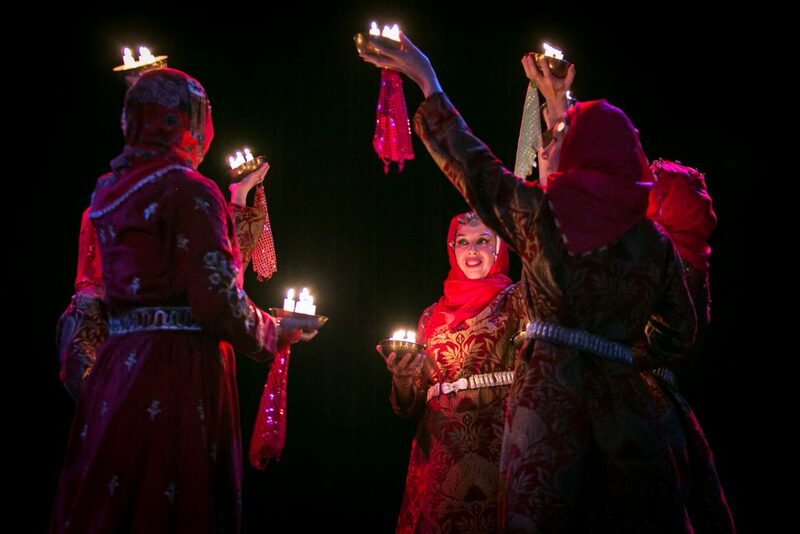 and possibly performances as NW Folklife, the Seattle Iranian Festival,Turkfest and the Kent International Festival. GOOD NEWS! Even if you missed the Intro Weekend, it is not too late to join ANAR DANA. You can try one weekend without committing to the rest to see if it is of interest to join longer term. Also, the Friday night cultural nights are open to everyone. So if you want to learn more about these beautiful dances and cultures, join us! Learn Technique, Choreography, Dance Notation, Yoga, Music Analysis, Staging, Costuming, Stage Make-up, Historical and Cultural backgrounds for 7 different styles of women’s dance from North Africa, the Middle East, the Balkans, Anatolia, the Caucases, Iran and Central Asia. The project itself is a series of 9 intensive weekends of 12 hours each. We have chosen a repertoire of 7 dances, and over the course of the year we will learn the techniques of each of the dance styles, do dance training and yoga, learn about the cultural and historical backgrounds for the different dance styles, learn about choreography, staging, stage make-up and costumes. Each student will be in aprox. 4 choreographies, but is expected to be able to stand in for the other 3 if necessary. Costuming mostly comes from Helene’s extensive collection. At the end of the project we do a recital. Helene does solos in between the group choreographies so that we have a smooth running, full evening performance. There is a certificate of participation for all who complete the program. Cost: $185 per weekend with 10 participants. In addition to the weekend dates (below) I will offer in-depth cultural evenings Fridays before each project weekend. These evenings are designed to explore the cultures of our project’s dances in more depth, including costumes, films, music and more. The cultural evenings are open to the public and cost $15 for general public and included in the class fees for participants. In addition to these training weekends, students will schedule their own independent study and practice together to hone their technique and prepare their assigned choreographies for the stage.